La Cuisine is a backstage, seasonal kitchen facility, designed to accommodate the preparation and serving of 10,000 meals a day to volunteers and performers at the Winnipeg Folk Festival. 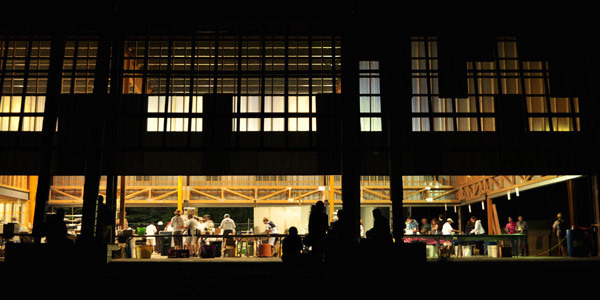 Designed to be completely open during its brief operation as a kitchen, the building has sliding walls that shut down the sides to create a secure, weather-protected storage facility for the 360 days of the year that are not the festival. 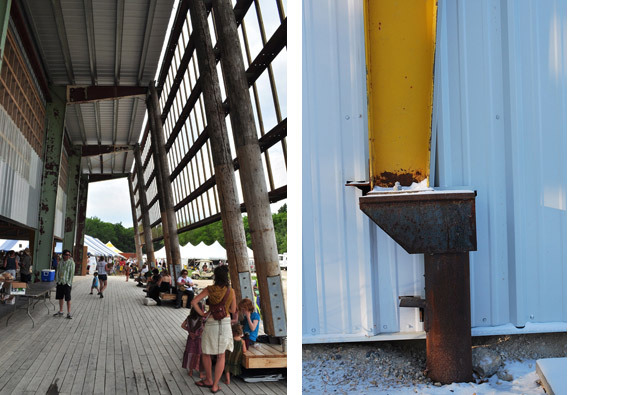 Working in the spirit of the Winnipeg Folk Festival Environmental Policy, La Cuisine is designed to reuse components from an existing modular steel structure. The project team was able to source an existing modular, steel structure building slated for demolition, and to design a new Festival kitchen facility using most of the original building's component parts.